How Can I Get My Child to Eat More Fruit? This seems to be the age-old question that has kept many parents puzzled for generations. While some children do in fact like fruit, and eat it without complaint, other children simply refuse it, leaving their parents to wonder why. Is it because they feel forced to eat fruit, and now refuse? Or, perhaps it’s the taste, textures, or mere boredom? Have they been given too many choices? There are many theories out there, and of course each child is unique. As adults, we can relate to the concept of preferring certain foods over others. However, as parents, it’s important for us to ensure that our children eat enough fruits and vegetables for proper nutrition. Many have suggested one of the best ways to increase your child’s fruit intake is to make it fun. 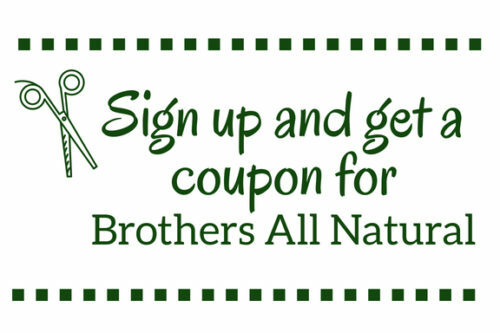 Here at Brothers-All-Natural, our Fruit Crisps are not only fun, but also healthy and convenient. Numerous parents have reported that our Fruit Crisps are the only fruit their child will eat. Some children are turned off to the slimy texture or tartness of fresh fruits. Freeze-dried fruit has a unique, sweeter flavor than fresh fruit. Fruit Crisps are naturally sweet with a light with a fun, crispy texture. More important, our Fruit Crisps are 100% fruit… Nothing else is added! Perfectly packaged for on-the-go snacking, each ½ cup bag of Fruit Crisps contains two full servings of fruit. Mix it up! We have several varieties of Disney Fruit Crisps packaged with fun, Disney characters to keep your child from getting bored. However, they are also very versatile, so you can get creative! Serve them with various dips, in cereals, blended in smoothies, ice cream topping, or in pancakes. You will find it’s easier than ever to increase your child’s daily servings of fruit. Posted in Healthy LivingTagged disney fruit snack, dried fruit, fun snacks, snack for kidsLeave a Comment on How Can I Get My Child to Eat More Fruit?